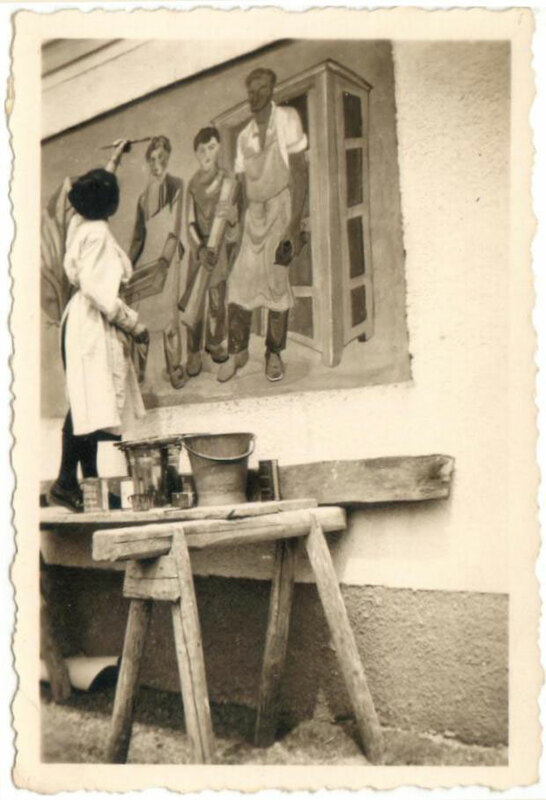 Resl Lenz, born as Theresia Grundner on 25th June 1927 in Munich, grew up in Dorfen (Bavaria) where her father, Peter Grundner, was a master joiner with his own workshop. Resi, how her parents called her, had always been very creative and sprightly and as a girl of about 10 she drew her grandfather quite accurately - with a pipe in his mouth and a glass of beer in his hand. He was rather enthusiastic about this drawing and promised his talented granddaughter to support her plans to study art. Unfortunately, the grandfather died before she could even finish her school and therefore she took part in a competiton for a scholarship – and in the end she won the second place in this competition and was indeed offered a place to study for free. As this scholarship, however, was state-run and Resi`s family were opponents of the regime, Resi decided to decline the it. Her parents, however, had seen at this opportunity how talented her daughter really was and that she aslo had the necessary will to study art and therefore they deciced to support her financially - as far as possible for them. Aditionally she took on variours decoration and drawing orders so that she could finish her art studies after 8 semester at the Blocherer School for liberal and applied arts in Munich.After her studies she was very successful as an independent artist; she wasengaged by various businesses for decoration works and also made some of her famous batik wall hangings. 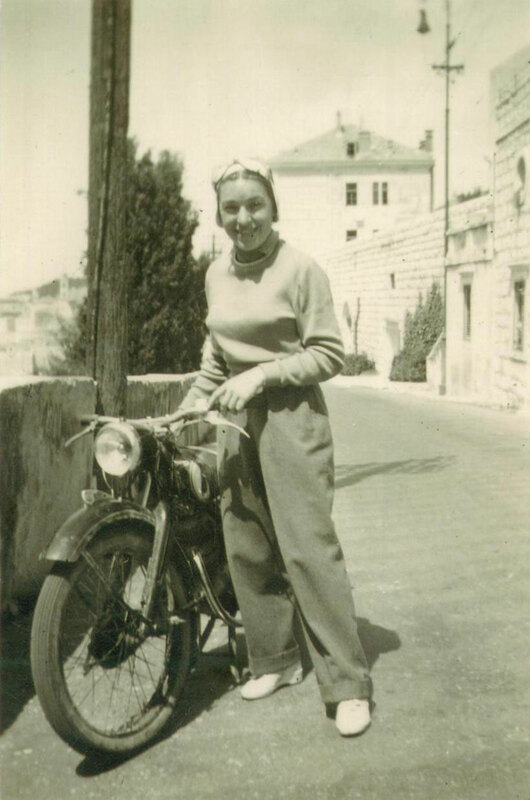 It was also during this time that she toured Europe all alone on her motorbike – which was surely absolutely special for a young woman shortly after the Second World War. She visited Southfrance, Italy, former Yugoslavia and many more countries. In 1953 she met the locksmith Anton Lenz, when her motorbike broke and she brought it to his workshop. He was quite impressed of this smart young lady and one year later, in March 1954 Resi and Anton married. Another year later their first daughter, Juliane was born and then, in 1958 Thomas and in 1961 Antonia followed. In the first years of their marriage Resi attended to their children and at the same time made wall hangings and decorations. In 1958 sheand a friend of her visited a glassblower. Watching him during his work she suddenly had the idea that the glass balls could be left open on one side and that a kind of ornament could be put inside this transparent glass ball. She immediately orderd some sample balls and as soon as she returned home she started work. She cut an angel out of gold foil and with an ordinary sewing nail she penetrated the embroiderings by hand. So, with the Angel No 95, the first Lenz Christmas ball was born. 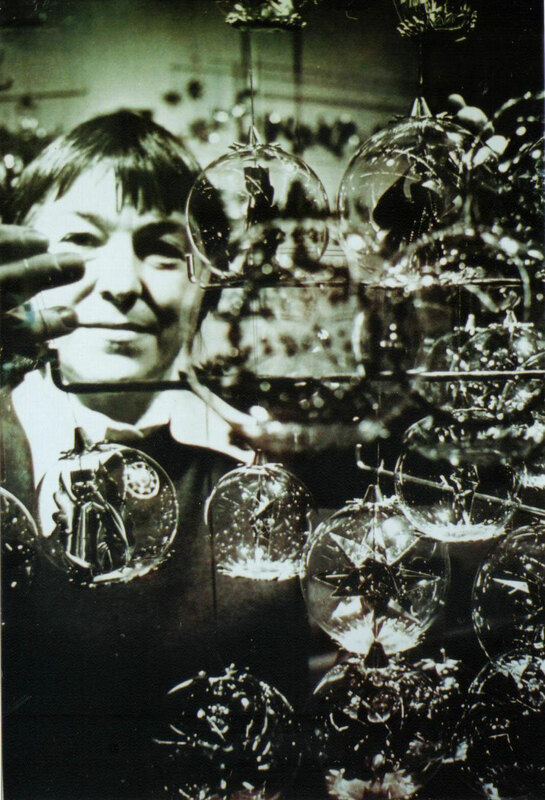 Resi was member of the Bavarian Associaton of Arts and Crafts which immediately included the christmas ornaments into its sales programme and sold it very successfully. 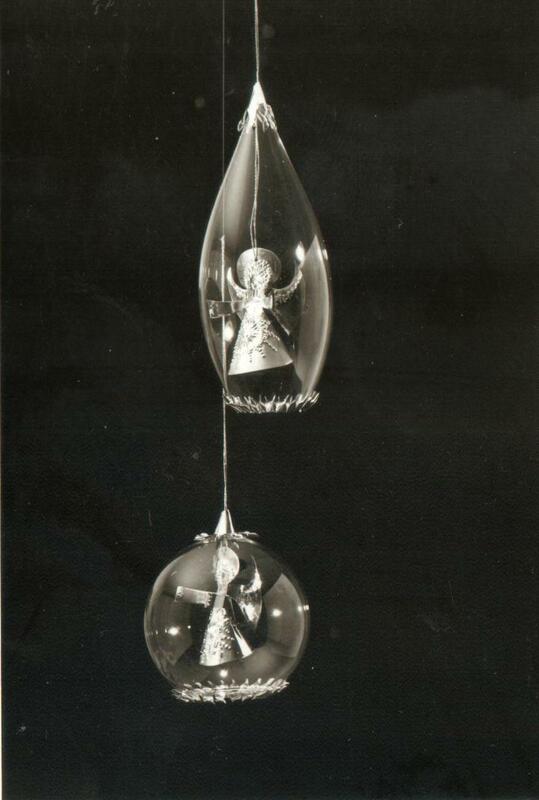 In 1959 Resi went with her christmas balls, Angel No 95 in three different sizes, to the international trade fair for arts and crafts in Frankfurt and also there the customers were enthusiastic. There she also met her first customer of the USA, the manager of company Whitehurst in Baltimore. Further customers from USA followed like, for example Marshall Fields, Macy, Nieman Marcus, Biedermann and many more. Also other international companies like Harrods in London, KDW in Berlin and many other renown customers from Paris, Swiss, Greece, Italy, etc. followed; also people from countries quite far away like Africaor Australia wanted to have the Lenz Christmas balls. One day Resi even discoverd her christmas balls at the tree of the royal family of Swedenon a picture in a magazine. In the front there was Queen Sylvia with her little children and in the back the big christmas tree with Lenz christmas balls. The business was growing continously – the economy generally was good at that time and the dollar rate was favorable for American customers. Therefore the Lenz christmas balls – especially in the USA – became very appreciated and developed to a kind of collectibles. Also, because Resi brought out a new ornament each year. From 1959 until 1998, Resi went to the international trade fair in Frankfurt twice a year – often her oldest daugther, Juliane, accompanied her. Up to this date many of the balls are sold in the USA, in the meantime via Resl Lenz’ sales partners there, Judy and Steve Scarbone (scarbone@iquest.net). 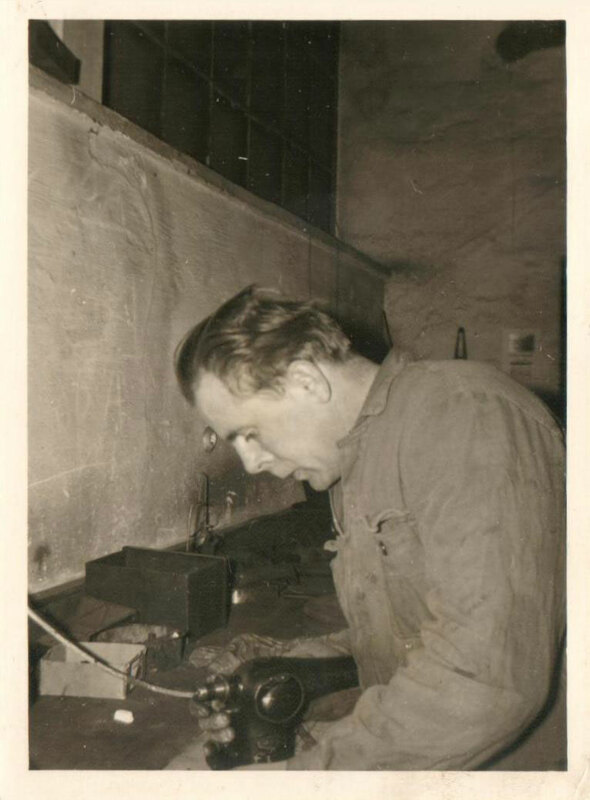 Resi’s husband Toni was a very inventive locksmith and he supported his wife whereever he could. Now, that business was going so well he started developing the suitable technique in order to simplify work for Resi. First he altered a normal sewing machine so that the embroiderings of Angel No 95 could be made with it, later he invented many other machines and tools for her. In 1960 Toni built the first punching machine to punch the gold foil for some of the ornaments. Toni and Resi were a great team: she was the creative one with an inexhaustible richness of ideas and he was the perfect technician so that she could bring all those ideas to realization. Later on, Toni also helped with packaging and sending all thos huge packets which were sent all over the world. There were times when at the “Lenz house” 40 people were employed. Up to this date nearly everybody in Dorfen knows the Lenz Christmas balls and many of the older ones have worked for the family Lenz once. So it is only normal that also Toni’s and Resi’s children all helped with the work and contributed their share to the business. Their mother’s creativity was also passed on to all of them: the youngest daughter, Antonia, is ceramist and Thomas, who is working as teacher, likes carving and painting in his free time. The oldest one, Juliane, had always had interest in the nice Christmas balls and after studying arts she went to the tradefairs with her mother regularly. Many of the ornaments, wich are on the market today, have been created by her. 2004 the business was handed over to Juliane; Resl and Toni, nevertheless, never stopped working for the business and remained quite active. For them it was always satisfactory that one of their children could take over their business after 50 years of hard work and the great amount of affection which they had put into it. When in 2010, Anton Lenz died at the age of 84 his death left a great hole in the family. Only with his help the business could have been so successful and this would not have been possible without his great support and the strong company within the family. Resi is still quite active and has also created many ornaments in advance and every year one of them comes onto the market. She also is still busy with doing her wall hangings. Lenz Christmas balls are still treasured collectibles and are also still produced in caring hand work in the the Bavarian city of Dorfen. The company Resl Lenz has become a little smaller in the meantime; nevertheless there is still a lot of work to do all over the year. For the Lenz family Christmas always starts in spring – and this has been that way for more than 50 years now.